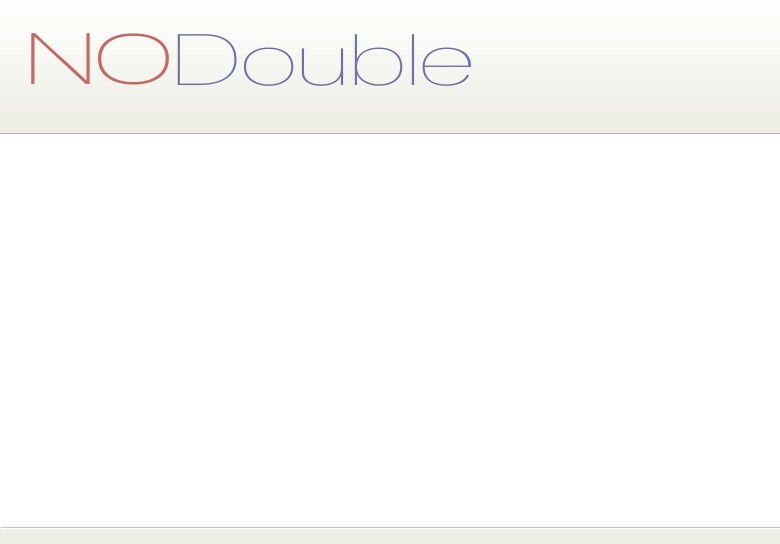 Welcome to the website of NODouble software. 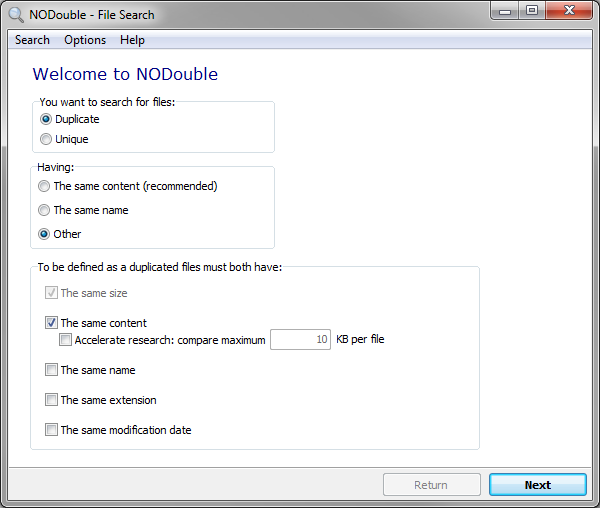 Search and delete duplicate files even if they have different names. Extremely quick search led by a clear and easy to use interface. 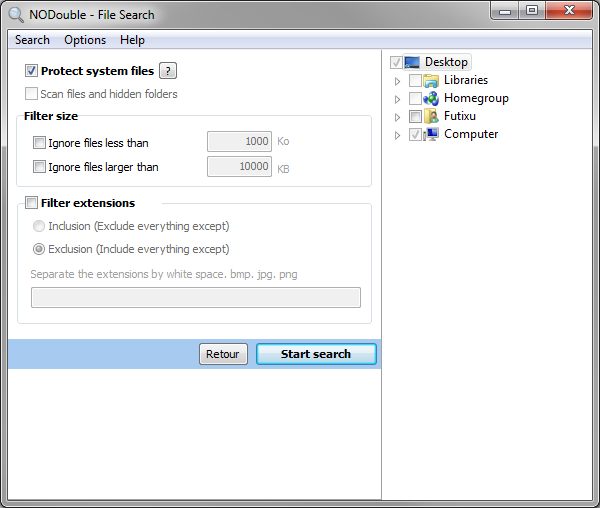 Ability to limit search results by filters extension, size, and more. 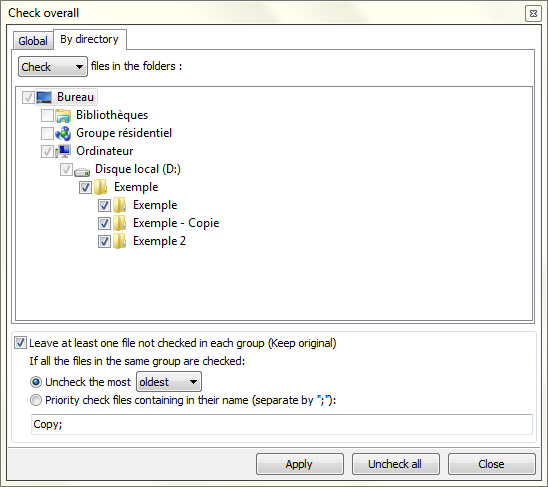 Global deletion of the files facilitated by many selection criteria. 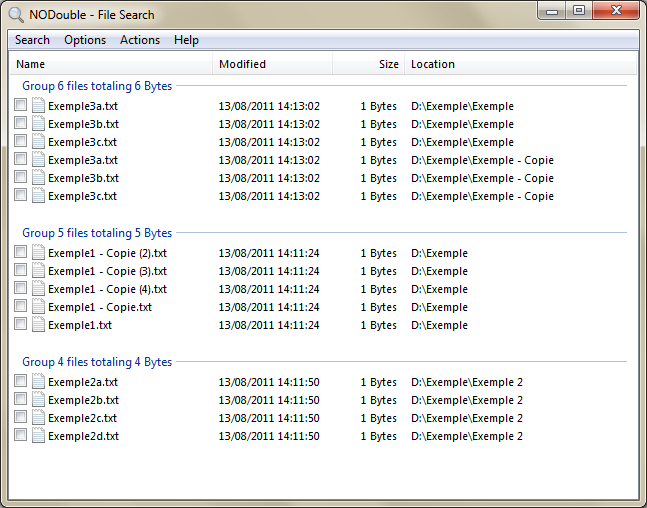 Ability to search for the unique files. 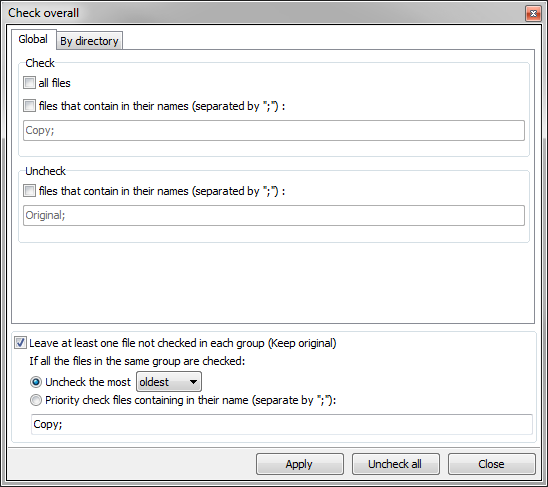 Import and export search results to csv, ini or html formats. Compatible with Windows 8 and earlier.